Very nice and convenient location. The apartment was clean and spacious for our family of five. The owners are kind and helpful. It is a very convenient location to the Termini Station and we walked everywhere as well. I would eat breakfast at Rossi just around the corner. Jennifer and her family were perfect guests. They left the apartment tidy and spotless. Easy To talk and very kind. Recommended!!! Thank you very much Gurav, you are very kind! Francesco's apartment is large and bright and airy, nicely decorated and clean with new, well-equipped bathrooms. There are a few pieces of vintage/antique furniture and a few decorative items that are vintage 60s and 70s which are very attractive. The kitchen is well equipped and most of the basics are provided which is always helpful. 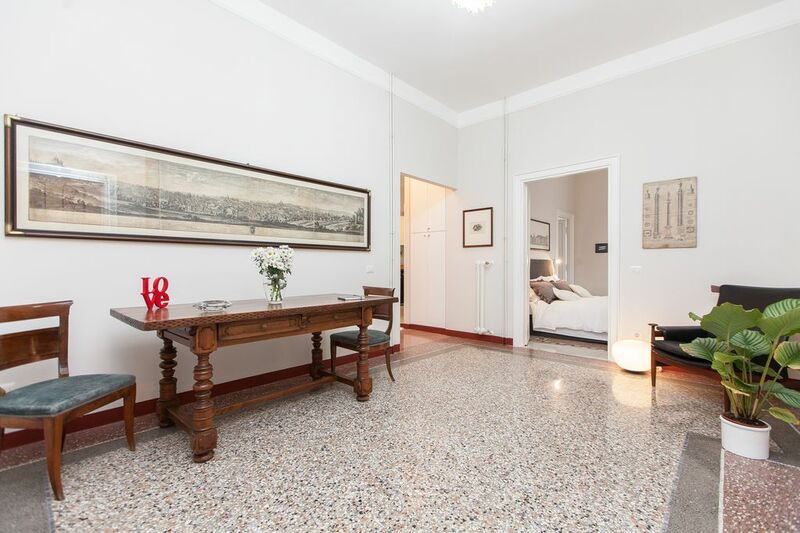 The apartment is situated behind Termini Station in a lovely 50s gated apartment block. It's not the best area of Rome but feels perfectly safe and is very convenient with 2 metro stations just a few minutes walk away. Termini also has many buses leaving from in front of the station. There's also a good supermarket inside the station as well as numerous other shops. Francesco has made the apartment very nice and with just a few small decorative additions, it could be perfect! The apartment has great character and many amenities. The two bathrooms is a great thing for a large family. The building is quiet and the area is very convenient. Francesco, the owner, it’s very helpful and responsive.